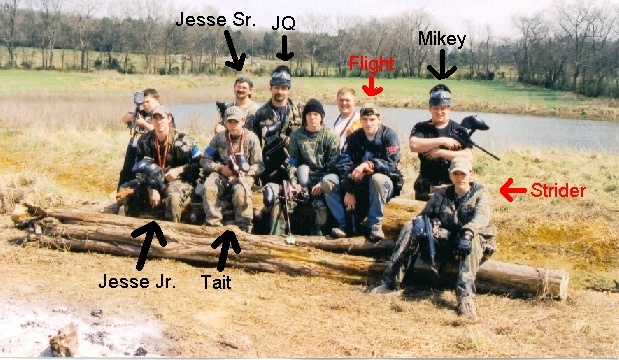 This here is the team Casey aka Flight and Nathan aka Strider played on during one of Wayne Dollocks 24hr long paintball war. They were on the winning side. Flight and Strider both were on this team.